iPhone 8 or iPhone X? Whichever you choose after tomorrow's big event, there's now an easier way to trade-in your current/soon-to-be-passé iPhone. The tech giant has introduced mail-in Trade-in Kits to its iPhone Upgrade Program. The kits' existence was uncovered by techdude13 on the MacRumors forums, although it's not clear if the service will be available outside the US initially. With the new option, Apple will include a kit along with a prepaid shipping label so you can ship off your old phone when your new iPhone is delivered. Mail-in is a welcome addition to the iPhone trade-in program, as up until now, customers had to make an appointment and go into an Apple Store to upgrade their device. While Apple prides itself on its retail store experience, some will no doubt prefer shipping off their old iPhone without having to set foot inside a store. As the tenth anniversary iPhone, the iPhone X promises to be a massive upgrade over previous models. From an all-screen design to Face ID to a more powerful chipset, this will be one enhanced (and expensive) phone. 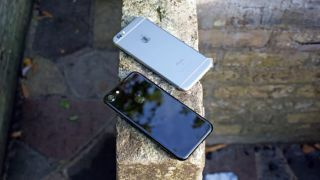 The iPhone 8 and iPhone 8 Plus won't be as extravagant as the iPhone X, but as with every iPhone iteration, these will no doubt also be highly sought after devices.